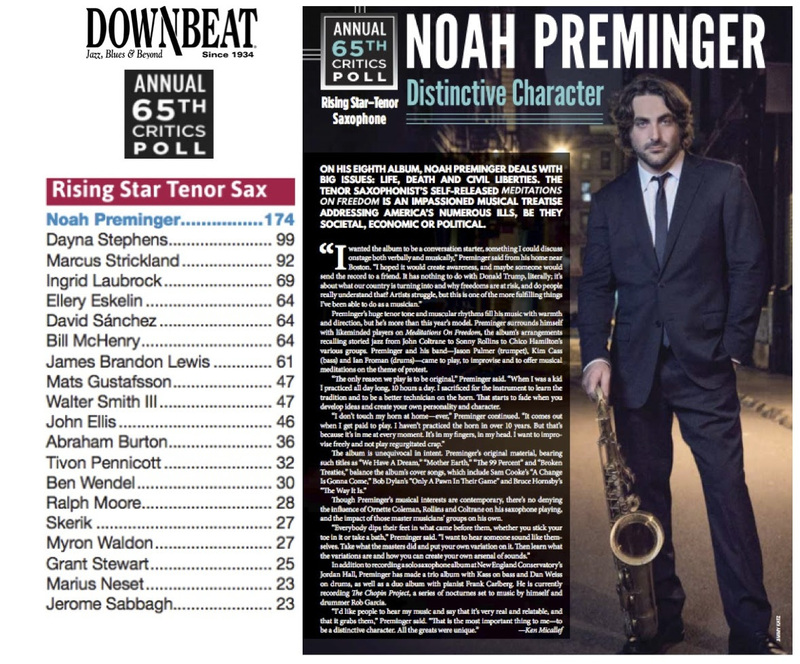 Acclaimed saxophonist and composer Noah Preminger has earned the #1 spot as “Rising Star Tenor Saxophonist” in DownBeat Magazine’s 65th Annual Critics Poll. A group of 155 international critics from organizations including The Boston Globe, Chicago Tribune, DownBeat, Jazziz, JazzTimes, NPR, Rolling Stone, the San Francisco Chronicle, and the Village Voice participated in this year’s poll. 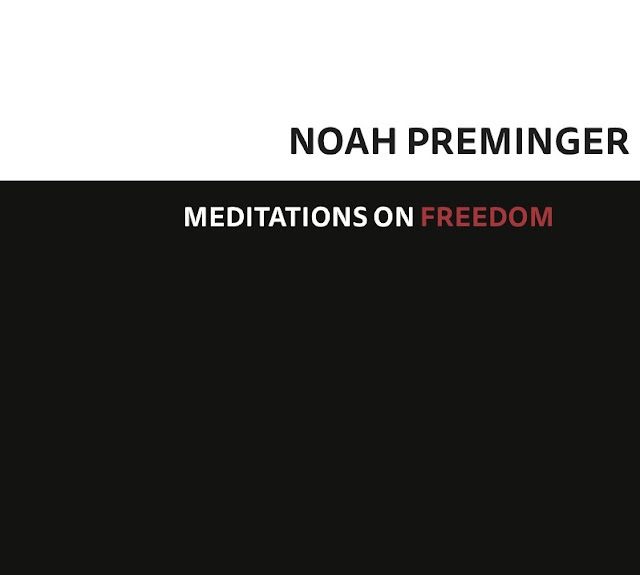 About his motivation to release Meditations, Preminger says, “I realize that the key thing I can hope to do with music – particularly instrumental jazz, with no words – is to heighten emotions. That said, some of the most beautiful, meaningful creations in the history of jazz have been poetic statements of protest, like John Coltrane’s ‘Alabama’ or Sonny Rollins’ ‘Freedom Suite’ and so many more great examples. I would never put myself in that category, but I’m not alone among jazz musicians today who wonder why it is that we do this. Ultimately it’s important to care about something larger than yourself and that’s what I am trying to convey with this music." 30-year-old Preminger has performed on stages from Boston and New York to Europe and Australia, playing with a wide range of jazz greats including Dave Liebman, Dave Holland, Fred Hersch, Dave Douglas, Victor Lewis, John and Bucky Pizzarelli, Billy Drummond, George Cables, Roscoe Mitchell, Dr. Eddie Henderson, Cecil McBee, John McNeil and Frank Kimbrough. 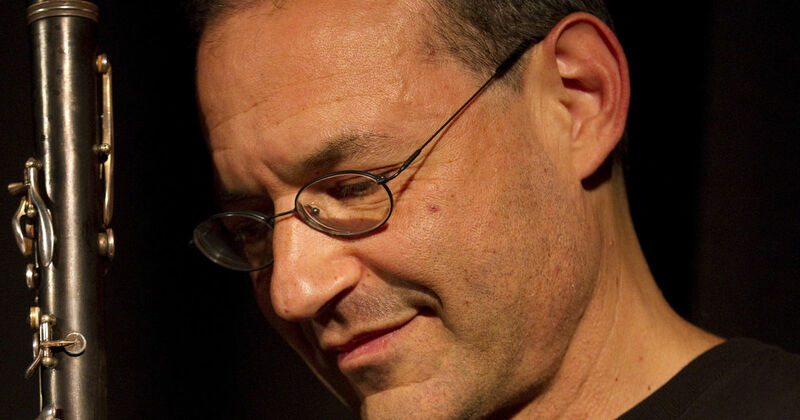 A native of Canton, Connecticut, Preminger has released eight critically acclaimed albums. The Boston Globe called Preminger’s music “impressive, challenging and beautiful.” In autumn 2016, Preminger followed his fiery, blues-fueled quartet discs Dark Was the Night, Cold Was the Ground and Pivot: Live at the 55 Bar by showing his more intimate, romantic side again with a collection of ballads, Some Other Time, released exclusively as a vinyl LP by Newvelle Records. 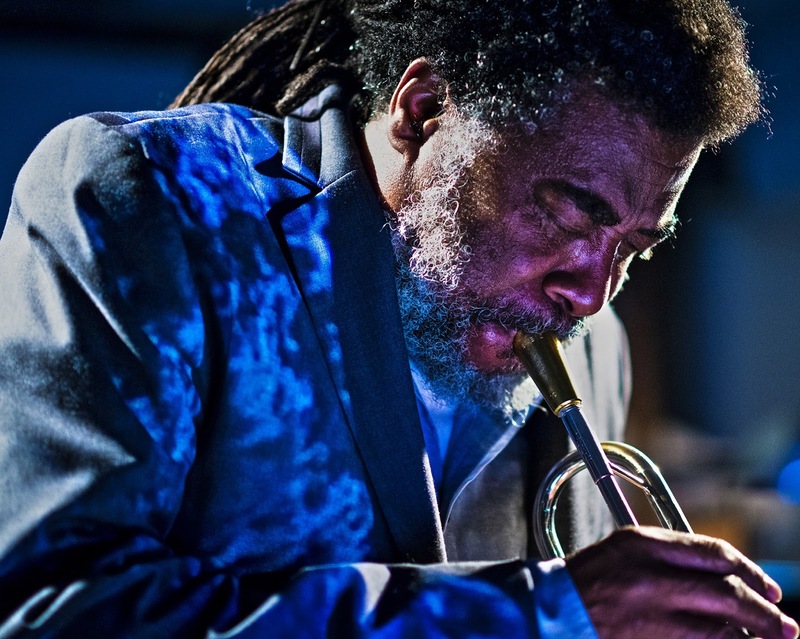 Boldly original trumpeter, multi-instrumentalist and composer Wadada Leo Smith has topped three categories in DownBeat Magazine’s 65th Annual Critics Poll: Jazz Artist, Trumpet and Jazz Album (for America’s National Parks on Cuneiform.) A group of 155 international critics from organizations including The Boston Globe, Chicago Tribune, DownBeat, Jazziz, JazzTimes, NPR, Rolling Stone, the San Francisco Chronicle, and the Village Voice participated in this year’s poll. 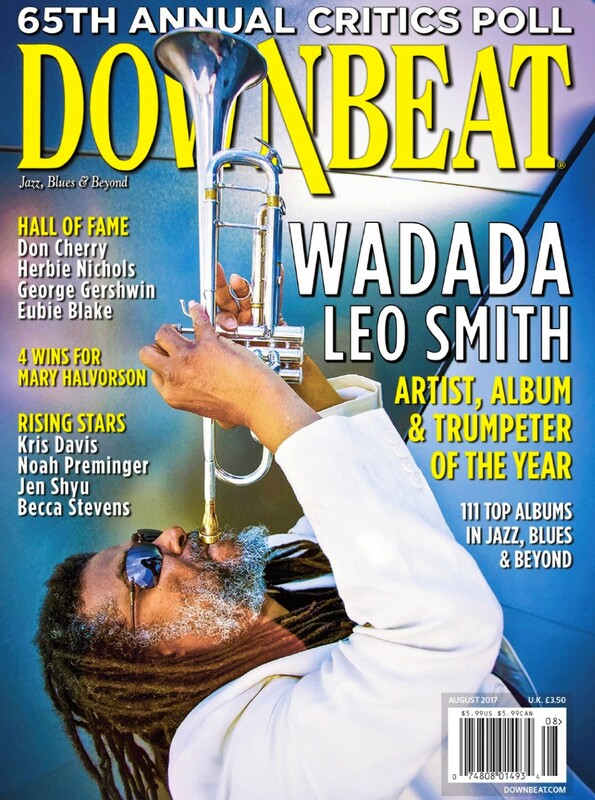 Smith is also featured on the cover of the August 2017 issue of DownBeat. A six-movement suite inspired by the scenic splendor, historic legacy, and political controversies of the country’s public landscapes, America’s National Parks earned wide praise as one of the best albums of 2016 from media like The New York Times, the NPR Jazz Critics Poll, Slate, The Wire and many others. Throughout his career, Smith, 75, has been recognized for his groundbreaking work. Transcending the bounds of genre or idiom, he distinctly defines his music, tirelessly inventive in both sound and approach, as "Creative Music." 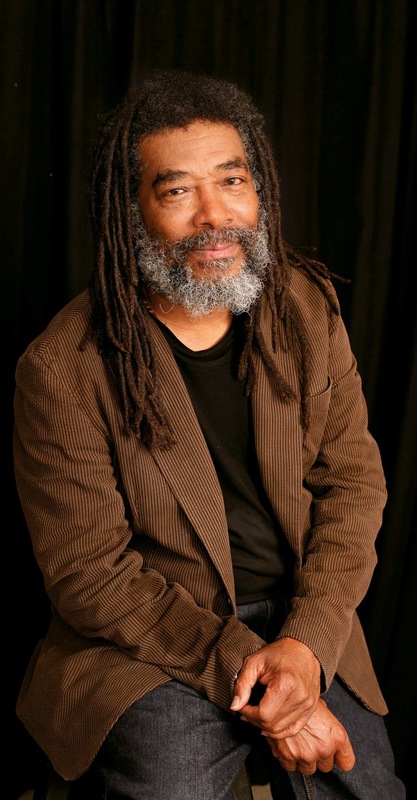 A finalist for the 2013 Pulitzer Prize in Music, he received the 2016 Doris Duke Artist Award and earned an honorary doctorate from CalArts, where he was also celebrated as Faculty Emeritus. In addition, he received the Hammer Museum's 2016 Mohn Award for Career Achievement "honoring brilliance and resilience." In addition, Smith was honored by the Jazz Journalists Association as their 2017 Musician of the Year as well as the 2017 Duo of the Year for his work with Vijay Iyer. The JJA also named him their 2016 Trumpeter of the Year, 2015 Composer of the Year, and 2013 Musician of the Year. In 2013 he was also selected as DownBeat Magazine's Composer of the Year and he graced the cover of that magazine in November 2016. In October 2015, The Renaissance Society at the University of Chicago presented the first comprehensive exhibition of Smith's Ankhrasmation scores. In addition to igniting creative sparks in the musicians who perform them, their use of non-standard visual directions makes them works of art in themselves. In 2016, the scores were also featured in the Hammer Museum's Made in L.A. exhibition, and at the Kalamazoo Institute of Arts and Kadist in San Francisco, among other places. Born December 18, 1941 in Leland, Mississippi, Smith's early musical life began at age thirteen when he became involved with the Delta blues and jazz traditions performing with his stepfather, bluesman Alex Wallace. He received his formal musical education from the U.S. Military band program (1963), the Sherwood School of Music (1967-69), and Wesleyan University (1975-76). For the last five decades, Smith has been a member of the legendary AACM collective, pivotal in its wide-open perspectives on music and art in general. He has carried those all-embracing concepts into his own work, expanding upon them in myriad ways. 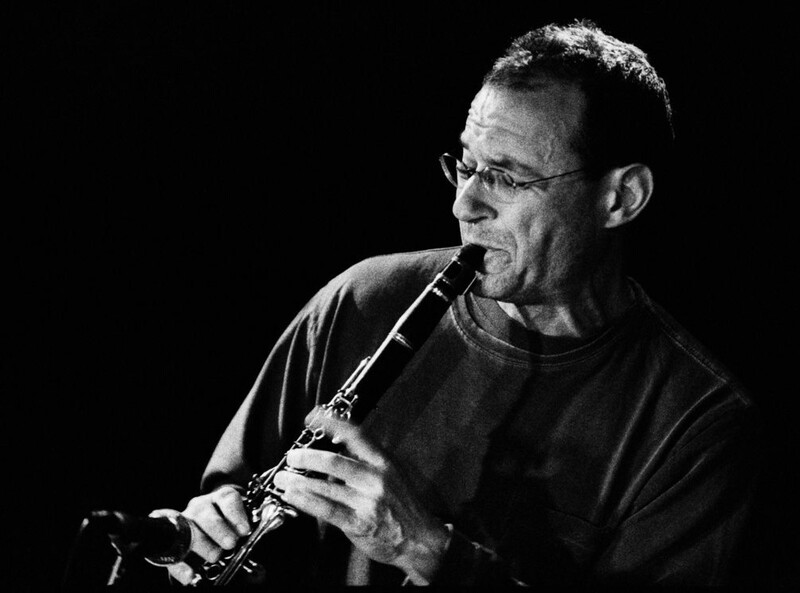 Smith has released more than 50 albums as a leader on labels including ECM, Moers, Black Saint, Tzadik, Pi Recordings, TUM, Leo and Cuneiform. His diverse discography reveals a recorded history centered around important issues that have impacted his world, exploring the social, natural and political environments of his times with passion and fierce intelligence. In addition to America’s National Parks, Smith was widely recognized for his landmark 2012 civil rights opus Ten Freedom Summers, “A staggering achievement [that] merits comparison to Coltrane’s A Love Supreme in sobriety and reach,” (Francis Davis, Rhapsody Jazz Critics Poll). 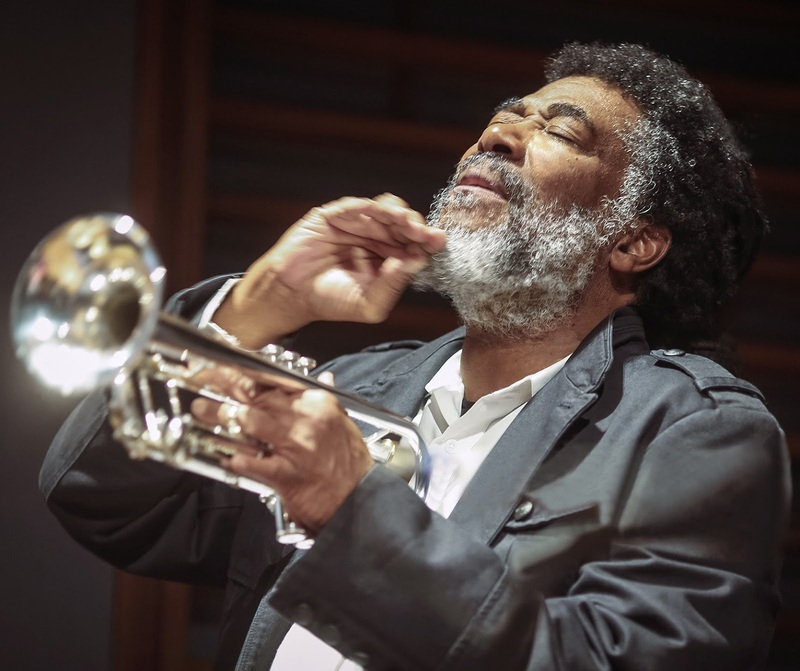 Upcoming recordings include Wadada Leo Smith: Najwa (TUM) featuring Smith with guitarists Michael Gregory Jackson, Henry Kaiser, Brandon Ross and Lamar Smith, plus Bill Laswell on electric bass, Pheeroan akLaff on drums and Adam Rudolph on percussion. Also on TUM will be Alone: Reflections and Meditations on Monk, a solo recording. 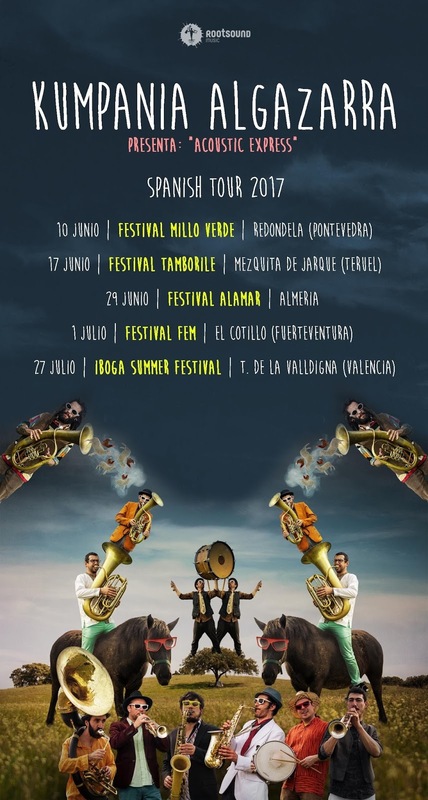 Depois de terem passado pelo Festival Millo Verde em Redondela, a 10 Junho, e pelo Festival Tamborilê, no dia 17 de Junho, os Kumpania Algazarra estão de malas prontas para voltar a Espanha para mais dois festivais. 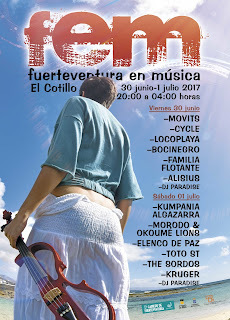 No próximo dia 29 de Junho a banda vai estar no Festival Alamar, em Almeria, e no dia 1 de Julho vão até à Ilha de Fuerteventura para o Festival Fuerteventura en Música. 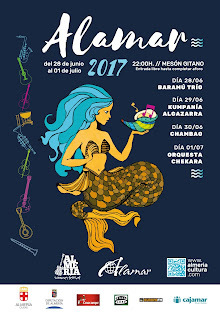 A Tour "Acoustic Express" continua e os concertos em Portugal seguem-se na próxima semana onde a banda vai passar pelo Festival Terra Transmontana, em Mogadouro, e pelo Alameda Beer Fest, em Faro, no segundo fim de semana de Julho. A banda volta a Espanha no final de Julho para marcar presença no Festival Íboga Summer Fest onde já esteve em 2014. 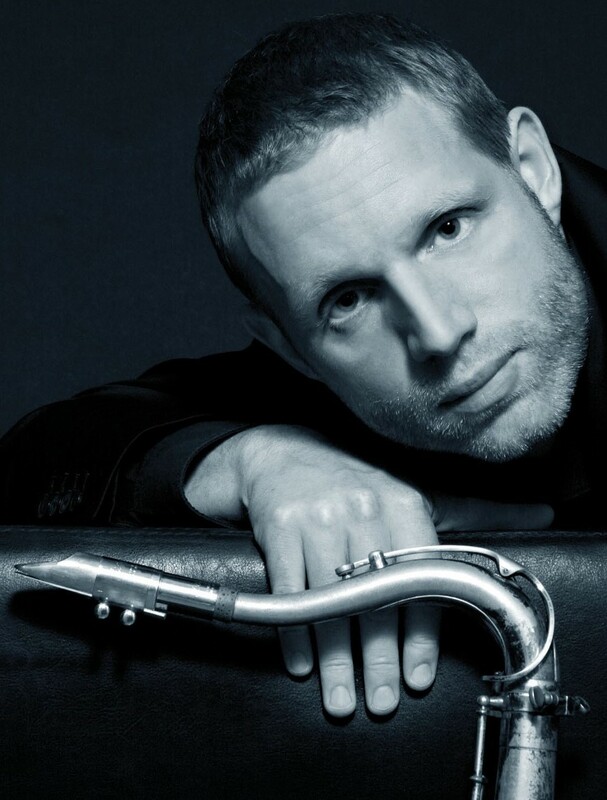 The charismatic tenor saxophonist and composer Jan Harbeck has put his name on several of Denmark’s best selling instrumental jazz records in recent years. The characteristic laid-back soulful ease of his three Stunt releases have enthused audiences. With deep roots in the Swing tradition, his personal touch refreshes and renews this music. Jan Harbeck’s first release earned him several awards. The surprising dark horse award-winner of the magazine Jazz Special’s annual “Recording of the Year”, IN THE STILL OF THE NIGHT (Stunt, 2008), brushed all the advance favorites aside. The same year, he received the prestigious Bent Jædig Award and was nominated for “New Jazz Act of the Year” at the Danish Music Awards. 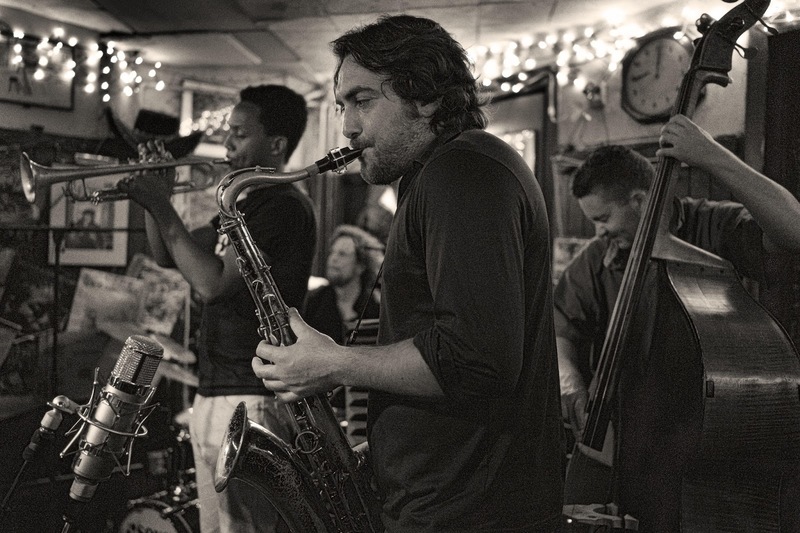 Harbeck’s evocative and outgoing Swing style earned him many friends, and his second album, COPENHAGEN NOCTURNE (Stunt, 2011) was also hailed as one of the year’s best jazz releases. 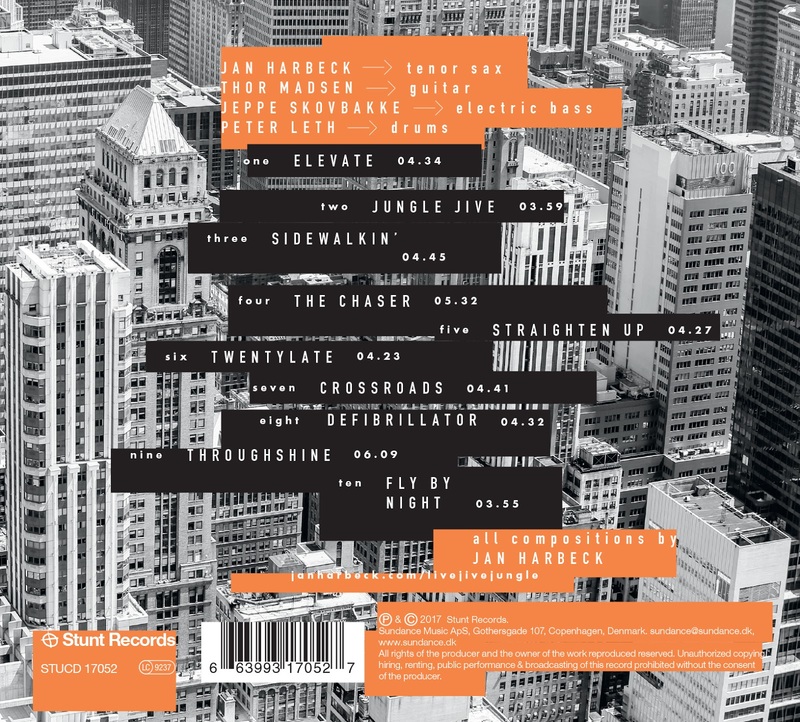 Original, and oozing self-confidence, the album shows Jan digging even deeper into his music with a striking presence – whether playing standards or Harbeck originals. To Harbeck, it makes no difference who the composer is. His quest is to find the innermost core of each piece. 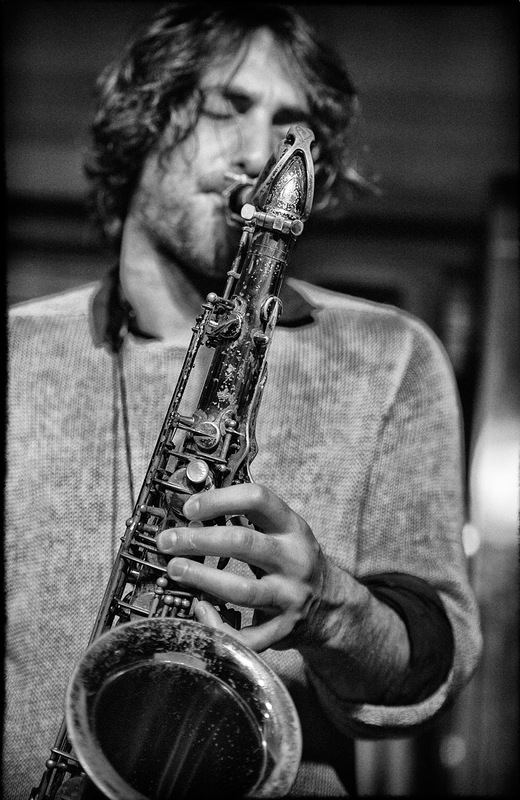 He is now one of the Danish sax players to be reckoned with. On VARIATIONS IN BLUE (Stunt CD & LP, 2014), he took yet a step upward along with his brother in spirit Walter Smith III on an album that has more fine qualities than space here allows us to list. Like Harbeck, Smith gives priority to absorption and musical presence rather than ego. Now Harbeck has delved into other aspects of his talent. While still retaining his acoustic quartet, he has put together a new, funky band – Live Jive Jungle. This band emerged from an urge to play music based on hard-swinging drumbeats – like Gene Krupa in a Benny Goodman classic like Sing Sing Sing! These charming, riff-based compositions, beats and grooves, aim to get jazz audiences (back) on the dance floor. If you are among those who have experienced Live Jive Jungle’s extroverted and intense late-night shows at the Copenhagen jazz nightclub La Fontaine, you know that it is for real – and with a solid foundation in the great tenor tradition of jazz. 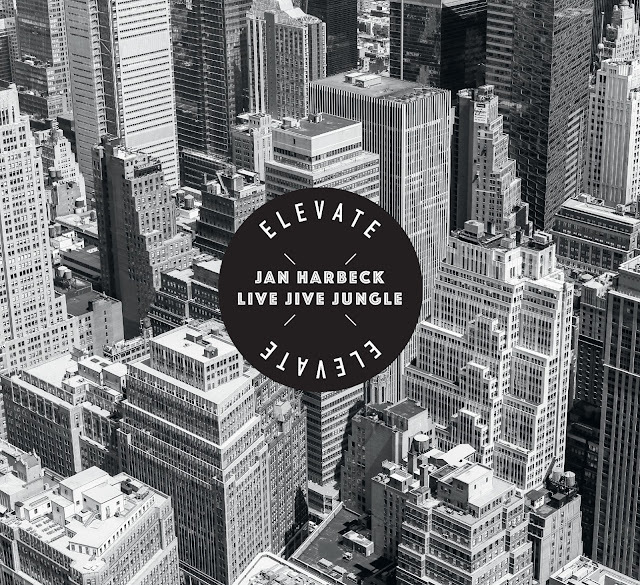 Jan Harbeck Live Jive Jungle, ELEVATE, Stunt Records/Sundance Music. 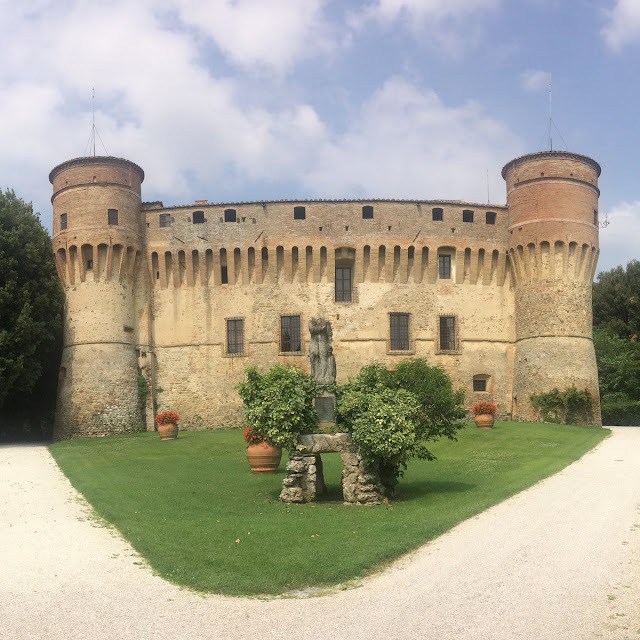 I am spending the summer with a dozen other composers, poets, painters, and novelists in a castle in Italy called Civitella Rainieri. One of my goals while here is to develop pieces for solo clarinet so I'm sitting around with the microphone on. (Also trying to learn the basics of recording - thanks Adam Muñoz!) I made a Bandcamp album where I will post some of these pieces day-by-day. Right now it's called "From the Granary" because I'm living in the old granary here. The songs will be free, or you could pay a little if you like. I started with one song and will try to add one most days. This music is for Steve Lacy. It was written in 2004 after I learned that Steve had cancer. I was thinking and thinking about him and I wished there was something I could do so I wrote down all the music I could and I kept thinking of Steve and hoping for the best. I should say that back then I had a hero and it was Steve Lacy. I mean the kind of hero where you wish you could do what they do. This was mostly based on the evidence of “Evidence,” a record he made in 1961 with Don Cherry. I had to listen to that record about four times a day, and though I was in the dark I memorized Steve Lacy’s solos and tried to figure out what he was doing. The note that lifts all other notes up into the world. Punctuation. The line that’s backwards and forwards and the pop of logic more logical than logic. At the lesson Steve said he wasn’t really a teacher so maybe we could treat this like a visit to the doctor: play a duet and based on that diagnosis he would prescribe something. Evidently the fundamentals needed vitality. Steve said you had to know the difference between materials and material and suggested two lines of inquiry concerning materials. These were exercises for uncovering the basic elements. He talked matter of factly about the invisible, and I caught a glimpse of what an artist does. He said, “If you stay in the dark long enough, eventually you’ll see the light.” He gave me a copy of “Hocus Pocus” and a book of rhythm by Kenny Clarke and I was so happy I wrote a poem and worked on those exercises for ten years. The exercises were strong medicine – the first time I played them I got dizzy and almost fainted. I had booked the studio for June 7th; Steve passed away June 4th. I was so sad, a lot of people were calling each other up. We had a rehearsal and then went and made the record. It was a sad time. The title comes from a poem by Robert Creeley. Steve Lacy wrote a song called The Door and once he sent me a postcard signed “Chapeau.” Kenny Clarke sat on a chair. In honor of the durability of Steve’s music I once made up an exercise called Pursuit of Facts. Pursuit of Facts. A fax arrived, with a poem on it. I am hardly here these days. All songs by Ben Goldberg (NJAMIN music, ASCAP), except Blinks, by Steve Lacy (Steve Lacy Music,SACEM). F13 is by Carla Kihlstedt and Ben Goldberg. On Facts, words by Steve Lacy, music by Ben Goldberg. Mixed and mastered by Rich Breen. Produced by Ben Goldberg. Executive Producer: Jeff Gauthier. Art by Molly Barker. 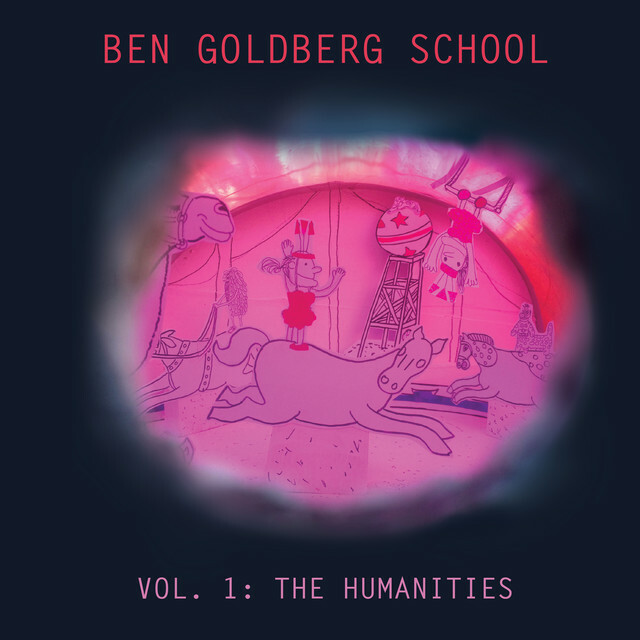 Now coming to light more than five years after the recordings were made, Vol 1: The Humanities by Ben Goldberg represents a run-up to his widely acclaimed opus, The Orphic Machine. The first release by his then-newest combo the “Ben Goldberg School,” the version of this band that made these sessions included Kasey Knudsen on alto sax, Jeff Cressman on trombone (who also engineered the whole affair), Rob Reich on accordion/piano, David Ewell on bass, and Hamir Atwal on drums. 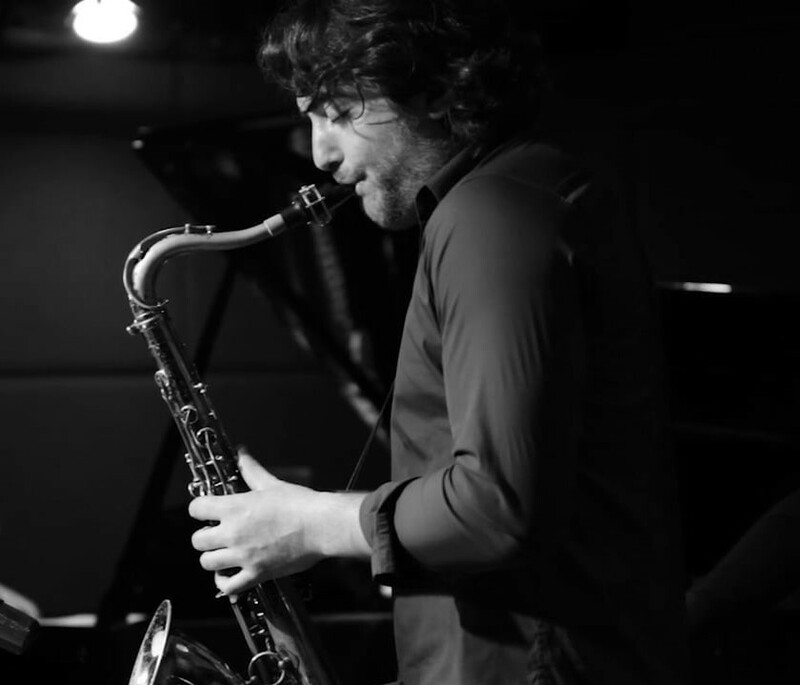 Ben Goldberg plays the instrument he’s practically synonymous with, the clarinet. Outwardly, the ambitions for this one might fall below that of The Orphic Machine, which isn’t to mean the commitment to quality is any less; after all, some of the ideas presented on The Humanities eventually made it on Orphic. 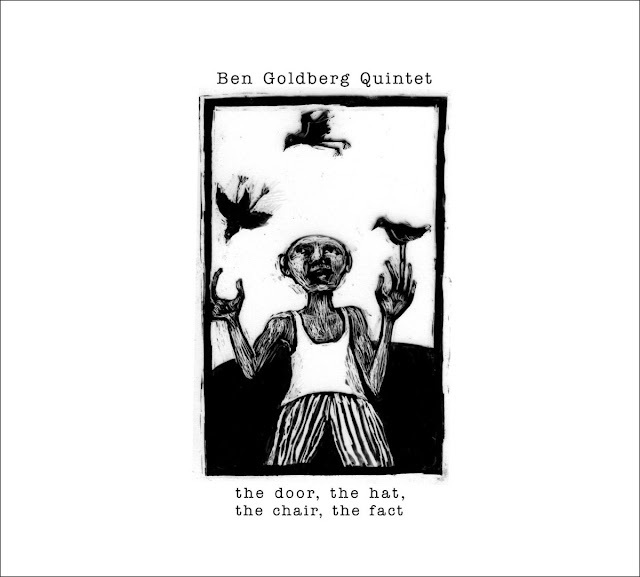 With this smaller ensemble, an emphasis on seductive compositions and arrangements on display is a hallmark of the Tin Hat quartet, the fame creative chamber jazz combo Goldberg co-founded and also features Reich. A certain solemness pervades this grouping of songs, but not without moments of liberating expression that keep these formal, sometimes intricate charts tethered to humanity. Like “This One Is For Bravery,” a folk melody treated with courtly affection but near the end of it Atwal’s drums loosen up while Cressman, Goldberg and Knudsen splinter away from each other. Or “Nine Pound Hammer,” which boasts lovely harmonies among the horns and a Cressman solo as the rhythm section gets restless before the focus shifts to Ewell and then a return to the theme this time with the restless drums. “Time Is The New Space” is a multi-sectioned through-composed piece that commences with a stately, Old World style horns-only figure. Reich’s accordion along with Ewell and Atwal softly enters the scene and proceeds to move through distinct carefully constructed themes. “Lagniappe” features rich arrangements of sax, trombone and clarinet plus accordion, a Slavic flavor that hints at the klezmer jazz Goldberg pioneered with the groundbreaking New Klezmer Trio. “Arounds Wears The Hat” is a somber dirge that takes a more hopeful tone on Goldberg’s cue, changing the melody completely, ending this course with the stateliness by which it began. It sometimes seems that every Ben Goldberg project is a special project, one that goes off the path to deliver on some certain brainchild from his fertile mind. Vol 1: The Humanities is what one might imagine a ‘regular’ Ben Goldberg record to sound like, if such a thing could ever exist. As a composite of ideas and influences introduced elsewhere, this is a fine entry point to his catalog that dilutes none of his expansive artfulness.